In this Dec. 9, 2018 file photo, released by the state-run Saudi Press Agency, Saudi Crown Prince Mohammed bin Salman, left, speaks to his father, King Salman, at a meeting of the Gulf Cooperation Council in Riyadh, Saudi Arabia. On Thursday, Dec. 27, 2018, King Salman issued a wide-ranging overhaul of top government posts. Saudi Arabia's King Salman issued a wide-ranging overhaul of top government posts on Thursday, including naming a new foreign minister, following international fallout from the killing of Saudi writer Jamal Khashoggi nearly three months ago. He also ordered a shakeup of the kingdom's two supreme councils that oversee matters related to the economy and security, respectively. 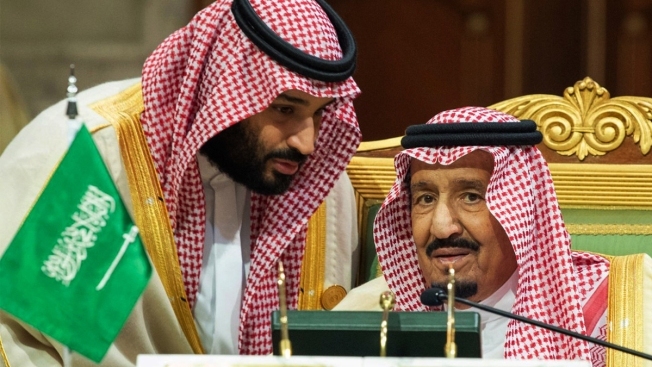 Both councils are headed by the king's son, Crown Prince Mohammed bin Salman, whose powers, including roles as deputy prime minister and defense minister, were untouched in the overhaul. The changes appear to further consolidate the crown prince's grip on power by appointing advisers and members of the royal family seen as close to him. Al-Assaf had been serving as a minister of state prior to being named foreign minister. He holds a seat on the boards of state-owned oil-giant Saudi Aramco and the kingdom's sovereign wealth fund, the Public Investment Fund. The crown prince oversees both entities. Al-Assaf's biography on Aramco's website says he holds a Ph.D. in economics from Colorado State University, a master's degree in economics from the University of Denver and a bachelor's degree from King Saud University. The changes, which impact several key ministries, come as the king and his son, the crown prince, were looking to announce a major reshuffle following Khashoggi's killing by Saudi agents in Istanbul. One significant change impacts a close aide of the crown prince, Turki al-Sheikh, who was named as head of the kingdom's General Entertainment Authority, a body created in recent years to help organize and promote concerts and other events that had long been banned in the conservative country. Al-Sheikh's appointment as head of entertainment means he no longer oversees a cybersecurity and programming body that was led by Saud al-Qahtani, a close aid to the crown prince who was fired from his post and sanctioned by the U.S. Treasury Department for helping to mastermind the plot in Istanbul that led to Khashoggi's killing. Saudi Arabia denies the crown prince knew of the plot. He's been supported by President Donald Trump who has touted U.S.-Saudi ties. 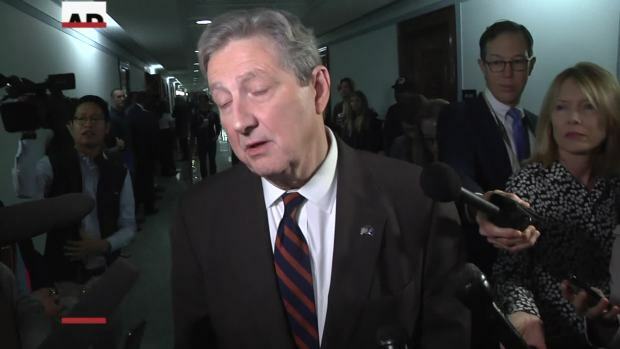 The U.S. Senate, however, passed a unanimous resolution saying it believes the crown prince is to blame for the murder. His critics point to U.S. intelligence reports and say an operation like this could not have happened without his knowledge. The killing badly damaged Prince Mohammed's international image as a transformational leader committed to changes Saudi Arabia's allies in the West long hoped for.